During production of our products we try our goods to be price available but mainly we concetrate to high quality of our products. We are using only best quality and certified materials. We own at our disposal top producing equipment, we closely cooperate with firms which produce original parts for us and other components we buy from reliable suppliers and producers. All our staff, emploees take personal responsibility for worked production. Out all products are high quality! Except others it is supported by quality certificates and unattended evaluation of produce procession. 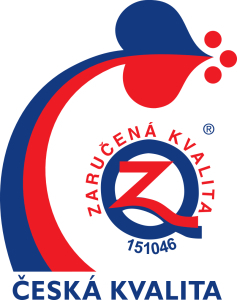 Program of Czech quality is guaranteed with government resolution. The main point of this program is to divide good from bad and to refer to honest fair trade marks which are awarded only after strict and independent certifying quality and liable to duty of regular control. Product has to have in trade comparison above standard quality. This quality has to be legalized (must be certified) with independent authorized with test. Keeping on the right side of the quality must be continuously controlled. Customer satisfaction must be controlled all time. 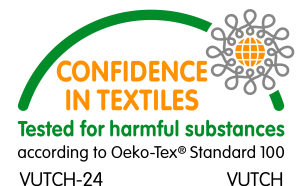 Öeko-Tex Standard 100 is international testing and certification system for textile which is produced only from healthy proper unharmful materials. It was founded in 1992. Testing is carry out with 17 testing institutions forming international Öeko-Tex association which has subsidiaries (subbranches) in more than 40 countries all around the world. Criterias that are basic for testing harmful substances are founded on the newest scientific information and they are regularly controlled. 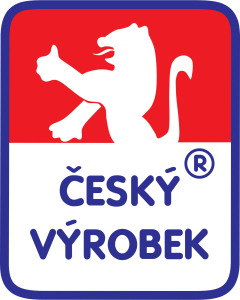 Foundation fund Czech Product (NFČV) has already supported Czech products since 1994. Aim (goal) of foundation fund is to inform consumers (users) about quality Czech products and to support their sales. Project Green Firm is environmental protection providing for back distribution and efficient recycling unnecessary electrical equipment or gas appliance. These contain a lot of dangerous substances but also a plenty of recycling and again used materials. Our company conneted up to this project Green Firm and therefore it enlarges its activities in field of environmental protection. Autorized packing company EKO-KOM was estabilished already in 1997 with industry enerprises producting packed goods. This non-profit-making joint-stock company created and efficently operates the whole republic system which guarantees sorting and recycling and utilizin, exploiting, using packing waste on quality European level.